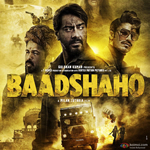 Download Baadshaho (2017) Songs. Baadshaho is directed by Milan Luthria. Music Composed by Ankit Tiwari, Tanishk Bagchi, Kabir Cafe and its release date is September 01, 2017. Baadshaho is a 2017 Movie and it contains 9 Mp3 Songs that can be downloaded below.